According to a reports the launch of the new Tata Hexa Crossover has been officially confirmed by the company. The car will hit the showrooms next year after its official launch at the 2016 Auto Expo in India. The Crossover made its debut at the 2015 Geneva Motor Show in march this year. Under the hood, the car gets an updated powertrain housing the familiar 2.2 litre DiCOR engine churning out 157bhp and a maximum torque of 400Nm coupled with a 6 speed manual transmission, but as per recent reports the company is working on an automatic gearbox as well which we might see at the time of launch. 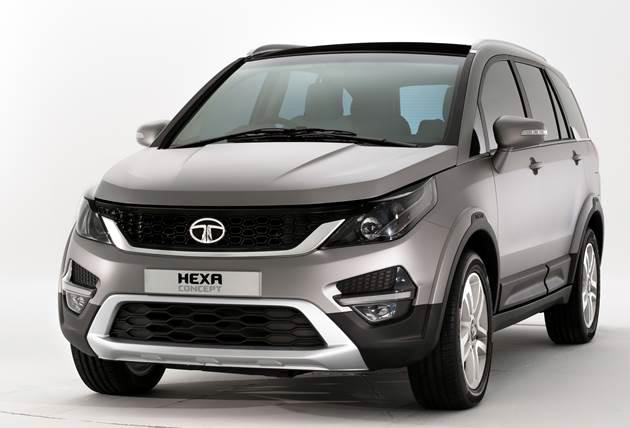 To sum up, all we can say is that by launching the Hexa Crossover Tata aims at reinventing their Aria project under its name with evolved looks, improved interiors, upgraded powertrain and refreshed transmission the company is working hard to better its performance on the sales chart, which Tata failed to achieve with Aria.